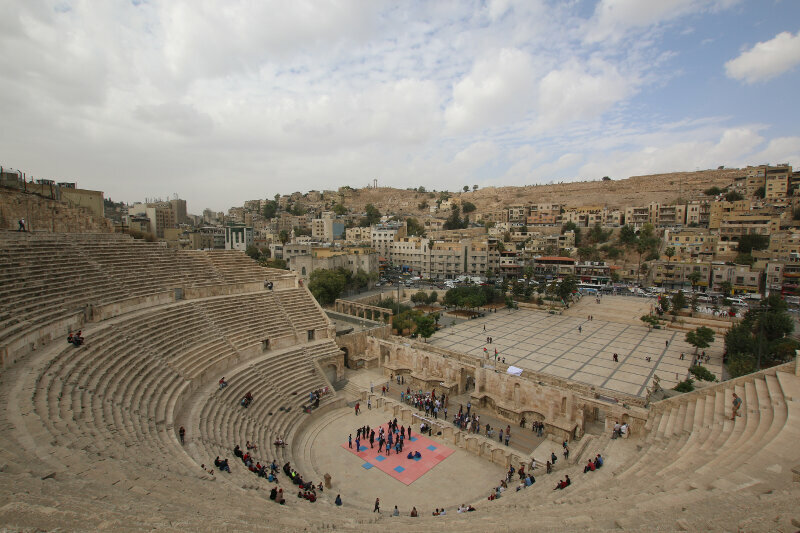 Most international visitors to Jordan are likely to fly into Amman (there is a small international airport by the Red Sea in Aqaba and another option across the border in Israel). We arrived at the lovely hour of 2am. While not ideal to start your vacation, the upside was that we were through customs and immigration within 20 minutes. We had purchased the useful Jordan Pass (76 JOD / 93 EUR) online, which includes the price for a tourist visa. While the airport is quite far from the city center (with some tourists spending the first night in nearby Madaba), there is no traffic at this ungodly hour and we were in our hotel within 45 minutes. After sleeping in, we started exploring Amman. The city is built on several hills and looks back at a rich history. We started our day at the Citadel, one of the world’s oldest continuously inhabited places. 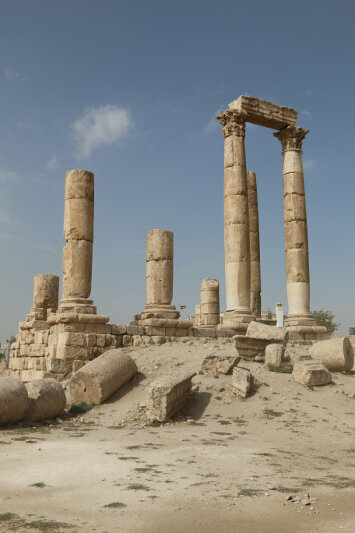 You can see how Amman used to be ruled by different groups throughout time as they’ve all left their mark. Just next to the Roman temple, the Umayyad Palace is from a few centuries later. 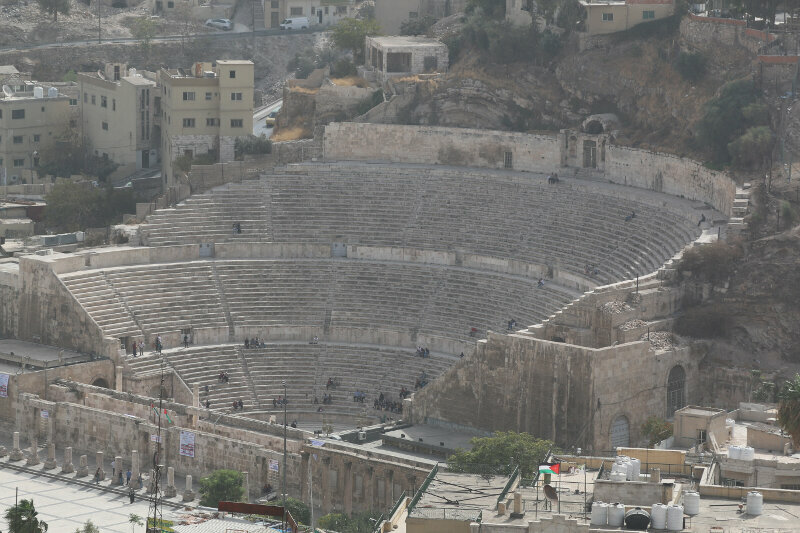 From the citadel it is an easy 20 minutes walk towards Amman’s Roman Theatre. Built in the 2nd century, it can hold up to 6’000 people. While we were there, a local karate group was practicing and we had the impression there are still regular performances in this 1’800 year old structure. 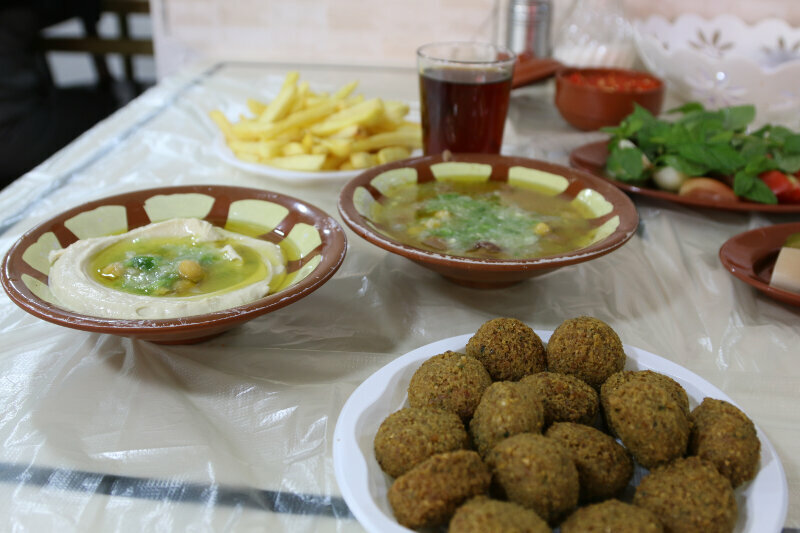 Our first Jordanian meal got us very excited for what was to come! The next highlight followed for dinner: Tammouz Restaurant. 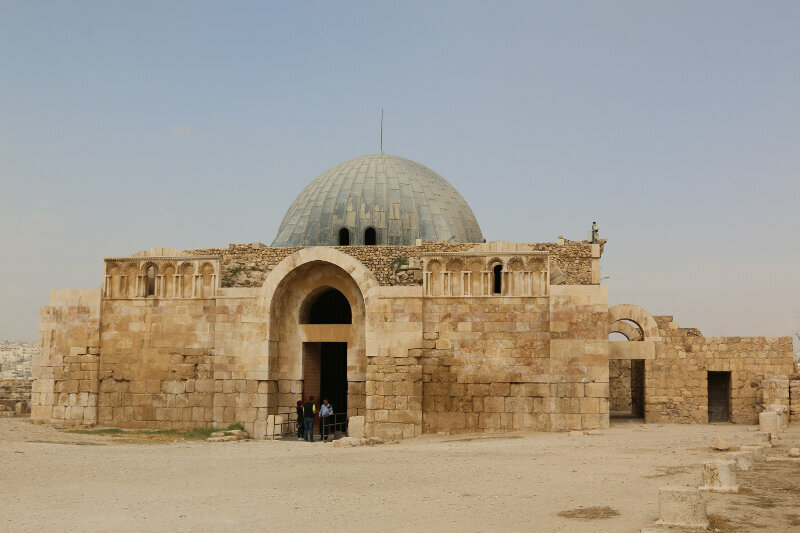 While we had only planned one day for Amman, it was sufficient and we were looking forward to renting a car and exploring the country on our own pace. Exploring Istana Woodneuk – a haunted mansion in Singapore?